For centuries, science and religion have been portrayed as diametrically opposed. 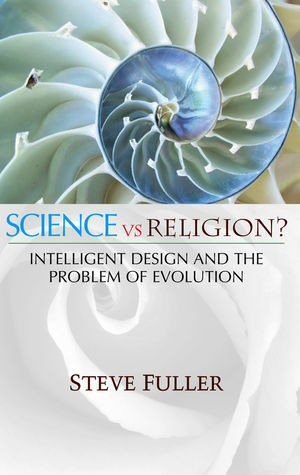 In this provocative new book, Steve Fuller examines the apparent clash between science and religion by focusing on the heated debates about evolution and intelligent design theory. In so doing, he claims that science vs. religion is in fact a false dichotomy. For Fuller, supposedly intellectual disputes, such as those between creationist and evolutionist accounts of life, often disguise other institutionally driven conflicts, such as the struggle between State and Church to be the source of legitimate authority in society. Nowadays many conservative anti-science groups support intelligent design theory, but Fuller argues that the theory's theological roots are much more radical, based on the idea that humans were created to fathom the divine plan, perhaps even complete it. He goes on to examine the unique political circumstances in the United States that make the emergence of intelligent design theory so controversial, yet so persistent. Finally, he considers the long-term prognosis, arguing that the future remains very much undecided as society reopens the question of what it means to be human. This book will appeal to all readers intrigued by the debates about creationism, intelligent design and evolution, especially those looking for an intellectually exciting confrontation with the politics and promise of intelligent design theory. "A balanced, detailed and well-presented introduction to all aspects of the argument." "An engaging book. It will provide fuel for Fuller’s critics who have accused him of 'pomo science' (postmodern science); energize ID theorists in their efforts to 'widen the wedge'; and serve food for thought for those still sitting 'on the fence' between ID and mainstream science. These are marks of a good book."